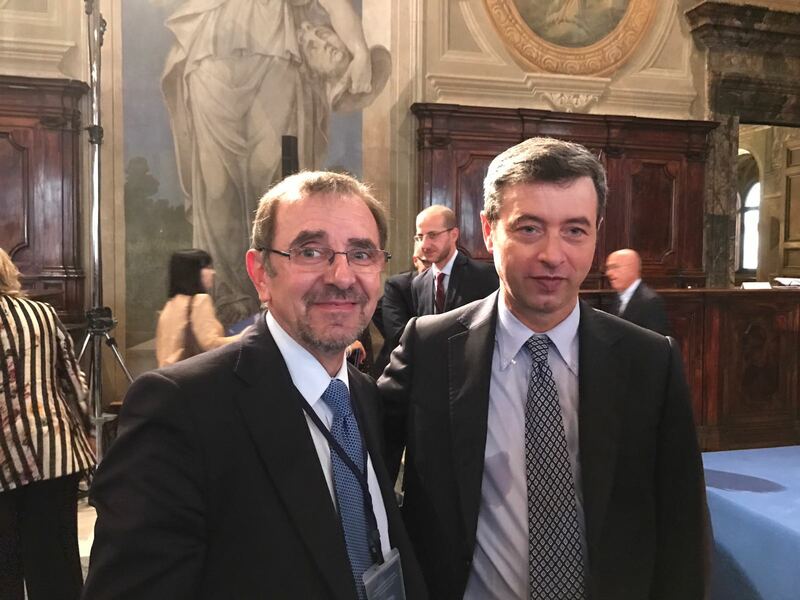 The following statement was issued after The Honorable ANDREA ORLANDO, Minister of Justice of Italy, met and talked in Rome with the Secretary General of the AIDLR, Dr. OLTEANU at the G7 on «Security and Hate Speech». They exchanged views on the contemporary crisis in the context of international insecurity, due to the hate speech, violence and religious hatred, that are often expressed either by state or non-state actors, in the name or in the context of a religious misunderstanding, or due to religious sentiments that could directly affect the defendless and religious minorities. Andrea Orlando stressed on the subject of hate speech: If we want to make progress, however, we need to understand the limits that justice encounters in the network. There are necessary guarantees when the effects of the content have already spread to the network virally. The crimes that are most often committed online are part of a lawsuit. Moreover, concludes the minister, “no social pact rests solely on the fear of sanctions. Behaviors are not just determined by the codes, they are the result of common sense and the system of conveniences conveyed by society. And these, in turn, are the fruit of social, political and cultural actions.” Minister Orlando and Dr. Olteanu also spoke of cooperation between the AIDLR and the Ministry of Justice of Italy on issues regarding public vigilance against hate speech and discrimination of freedom of religion, and also on the importance of education in society for the defense of the principle of freedom of religion or belief and the freedom of conscience for all people.